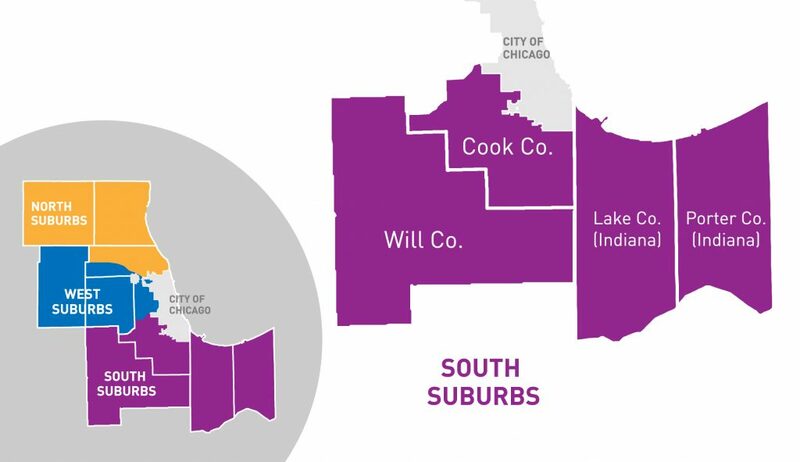 The South Suburbs include south suburban Cook County, Will County, as well as Lake and Porter counties in Northwest Indiana. Get the latest updates on active transportation issues in the South Suburbs below and make sure to join our In Your Community: South Suburbs e-newsletter list. The e-newsletter comes out quarterly and offers a quick read on issues related to bicycling, walking and transit in your area. If you are interested in learning more about any of the information provided on this page, please feel free to contact Maggie Melin at Maggie@activetrans.org or 312-427-0475. ‘Tis the season to enjoy the outdoors! We’re happy to report that the Illinois House and Senate passed the Illinois Bike Walk Education in Schools Act. This bill would add biking and walking safety education to the school curriculum in Illinois. Next, the bill moves to Gov. Bruce Rauner for his signature. Thank you to the hundreds of supporters who contacted their legislators to push for passage of this bill. Stay tuned for more opportunities to take action. Organizing fun and engaging community events is a fantastic way to build awareness for a campaign or project you’d like to see supported by your elected officials. 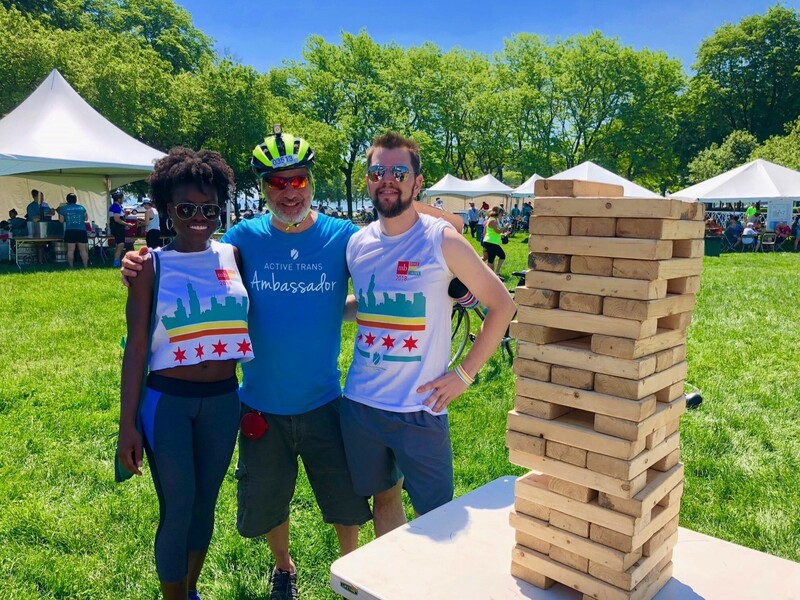 For example, south suburban resident Jessica Mancina organizes Chicago Height’s annual bike rodeo, an event that promotes the benefits of cycling and teaches kids bike safety skills. Check out her tips and best practices for pulling off this event every year. Save the date for this year’s rodeo on June 30. Metra is now offering free rides to children age 11 and under who are accompanied by an adult between now and Labor Day. Check out the Metra website for a list of fun events and activities that you and your family can reach by train in June. June 10: Active Transportation Alliance’s Executive Director Ron Burke will lead the Chicagoland’s MOST Scenic Trail Ride from 9 a.m. to 1 p.m. Starting in Lemont, Illinois, the 25-mile, easy-pace ride will include waterfalls, native prairie, bluffs, bogs and hidden lakes. June 15-29: During the Bike Commuter Challenge, workplaces across the region compete to get the most employees biking to work. Both new and experienced riders are encouraged to participate. 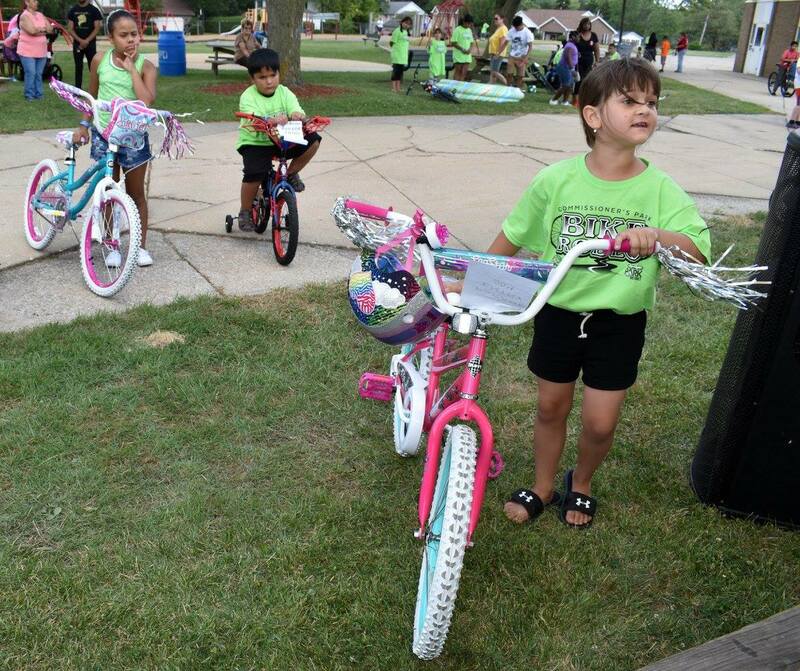 June 30: Participate in the Chicago Heights Bike Rodeo at Commissioner’s Park. Rides and other events: Check out the calendars of your local advocacy groups and bike clubs, including Folks on Spokes and the Joliet Bicycle Club. And in case you missed it, check out photos from MB Bike the Drive! Want to represent Active Trans at future suburban events and help us spread the message about the importance of walking, biking and transit to residents throughout the region? We’re training volunteers interested in becoming Active Trans Ambassadors. Those who complete the training sessions will receive special, limited-edition Active Trans Ambassador T-shirts. 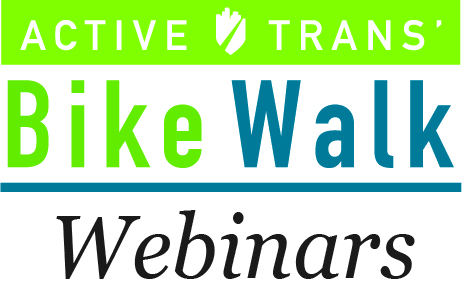 If you’re interested in learning more, please email maggie@activetrans.org. Photo credit: James Lamb. I can’t say enough good things about Active Transportation Alliance….they [are] extremely professional and knowledgeable.